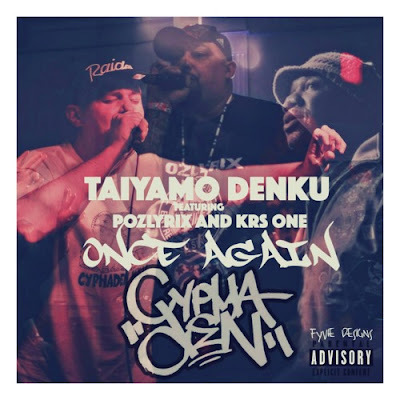 The blastmaster Krs One gets recruited for Cyphaden's newest single "Once Again" He is joined by Chicago Native and Seven Oddities Records own Pozlyrix. This Song could very well be classified as Golden Era sound in the present day. Especially with the strategic cuts Dcypha lays down for the hook of the song. The Australian beat smith definately brought that vibe as Krs, Denku & Pozlyrix all trade bars on the new single that is taken from Denku's newest album No Industry Standard that you can purchase below.